Postal letters are the main NHS communication channel for patient appointment details. However, in a recent survey 48%1 of respondents who had missed a medical appointment stated postal letter related issues, such as mail arriving too late or not at all, for their non-attendance. In June 2018, The Times newspaper reported that the NHS “wastes £100m a year sending postal letters”. Digital communications are significantly cheaper in every sense and with workflow automation, staff time is redirected to more valuable tasks. United Lincolnshire Hospitals NHS Trust (ULHT) is one of the biggest acute Trusts in England, covering four hospitals and caring for a large rural community. The Trust went to tender to find a solution to improve patient engagement by capitalising on digital efficiencies in patient communications. 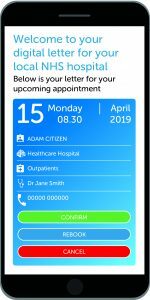 • Patients reported missing appointments due to lost or late mail and there was no real way to track if postal communications were received; this was especially relevant to patients living in rural areas where postal delivery times vary. • The end to end process was inefficient, staff were overburdened with postage admin and internal processes were resource heavy and incurred high costs. • There was a considerable capital investment with the internal system. Folding machines were up for replacement, further contributing to letter related costs. • The current ways of working did not facilitate compliance with the AIS standard; translating paper communications into numerous language templates was not financially feasible. 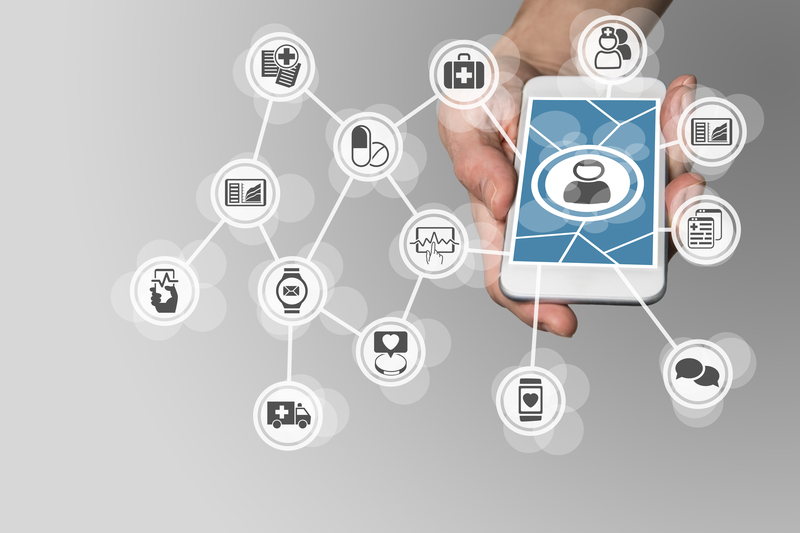 Smartphone coverage within the UK is 85% and message delivery is instant and trackable, providing the ideal channel to ensure patients receive important appointment details. • Patients instantly receive appointment letters straight to their smartphone. Instead of ringing the hospital to reschedule/cancel appointments, patients simply tap a button. With responses reported back to the Trust in real time, reutilisation opportunities open up earlier, reducing patient waiting times. • Digital content converts to 99 languages in two clicks, font can be increased and highlighted and background colour changed to improve patient accessibility. • Patients can add appointment details directly into their digital calendars as a further reminder. • All essential reading and appointment specific information is attached for the patient, and the Trust has visibility of whether this information is read. • Instant delivery mitigates for DNA’s due to lost or late post. • If the digital letter is not accessed within 24 hours, a postal version is automatically sent to provide a fully inclusive service. Information is accessible to patients anytime and anywhere, with no paper, print or postal costs to ULHT. The Trust went live with the patient portal across Outpatients in September 2018 and within one month uptake rose to 50% of eligible patients. With trackable communications, the Trust can now access patient behaviour analytics including open rates, how many patients click on essential reading and which patient portal features are commonly used. This insight enables the Trust to tailor communications to increase read rates and provides a full audit trail. • 36% of eligible patients aged 70-89 years of age accessed the portal, challenging the misconception that certain age groups do not engage digitally. • Uptake peaks with the 18-29 year old age group where 70% chose digital letters over the postal version. • 59% of eligible patients are now choosing digital communications over postal ones. • Within five months, DNAs dropped from 5.8% in Sept 2018 to 4.1% in Jan 2019, to one of the lowest in the country. • Potential income gains of more than £2 million per year could be achieved with the reduction in missed appointments. • 57% cost savings generated through the reduction in postal correspondence from September to December 2018. • A reduction in future capital expenditure as folding machines no longer need replacing. • AIS compliant: digital text converts to 99 languages and font size can be increased and highlighted. • Better use of staff resource: when surveyed, 70% of staff said the new solution is time saving. Kelly Wymer, ICT Project Manager from United Lincolnshire Hospitals NHS Trust said: “In the space of only a few months, we have seen incredible results from the portal. Patient feedback has been excellent, with many keen to use it and support a more digital NHS.